Santa has their name on the nice list, so why not put their name on this mug too? 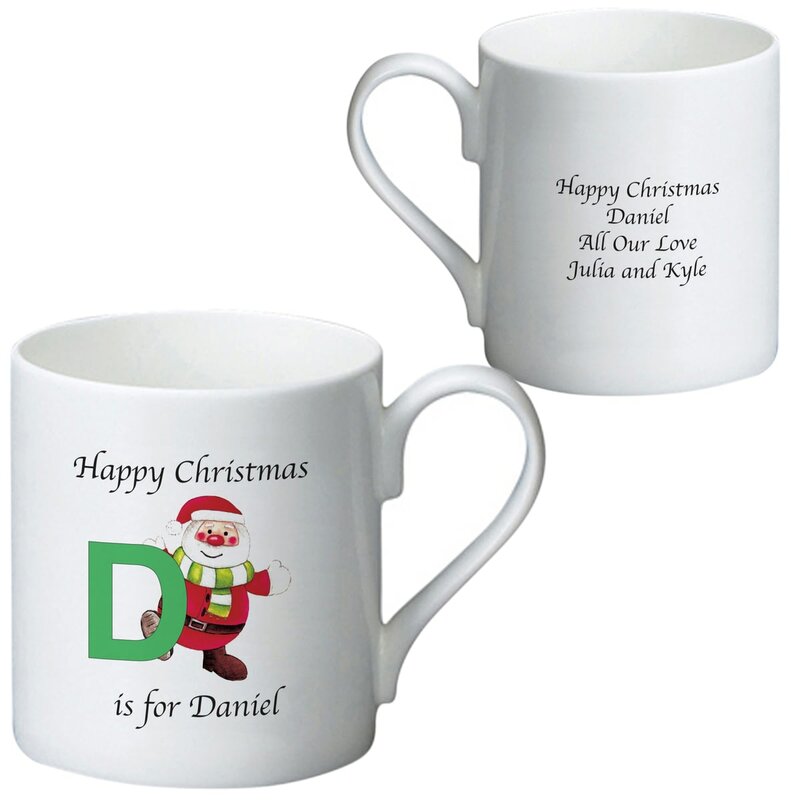 A jolly Santa holds the first initial of their name on the front of this mug, and your message fro the recipient is included on the back. Ho, ho, ho, ho, ho, ho, ho ,ho, ho and ho! Say Merry Christmas to a loved one with this 10-Santa, technicoloured, personalised ceramic mug. This mug will cause some hilarity at Christmas, whether you agree with the sentiment or not. Be the black sheep and give someone this anti-greetings mug.